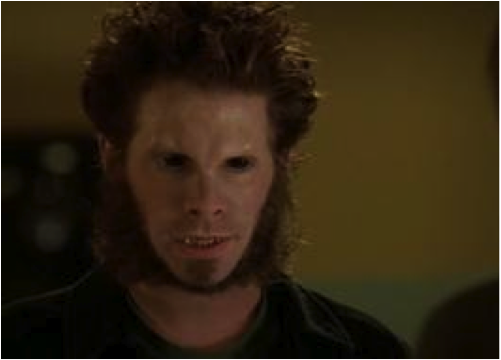 When I say werewolf, I don’t mean ones who look like hirsute humans on all fours. Like Oz from Buffy the Vampire Slayer. 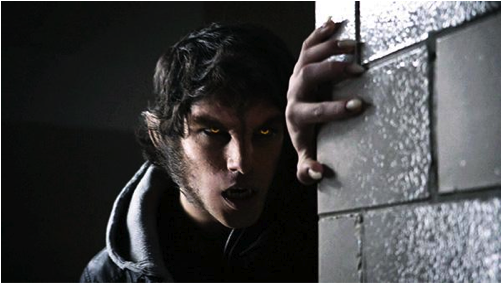 Or Scott from Teen Wolf. I’m referring to werewolves who turn into real wolves and the rest of the time, they’re all man. Like True Blood’s Alcide. “Team Jacob” is going strong, but Twilight’s Jacob will need a few years on him before he and his washboard abs are included in this discussion. Werewolves can come out and play in the daylight. You can take a werewolf to the beach for a walk on the pier as the sun shines down on you. With a vampire, you’ll have opposite schedules. Unless you plan to switch to the graveyard shift, you’ll be very lonely during the day. Werewolves won’t mess with your head. Whether vamps can read your mind or hypnotize you, unless you have vervain or garlic, you’ll never be certain of your own free will. I’ll stick to werewolves, thank you very much. Yes, vampires are steamy and mysterious. But they’re dead! If you’re dating a vamp and you want to start a family one day, you’re walking on the wrong grave. Werewolves, on the other hand, can make cute little werepups. Werewolves aren’t necessarily immortal and will probably mature with age. At your 20th anniversary party, you won’t look like a cougar. Werewolves are better at family and other social gatherings, because you won’t have to worry about your boyfriend biting and draining the blood of your friends and family. 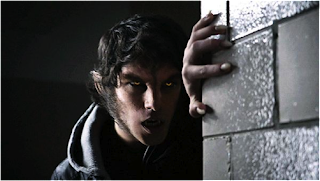 And your mom probably won’t think your werewolf boyfriend is a little creepy. Not that we should care what people think of the man we’ve chosen to spend our life with, but wedding presents are nice. Werewolves are versatile. If you’re a dog lover and your apartment doesn’t allow pets, your boyfriend doubles as man’s best friend. You can cook for werewolves or go out to dinner together and act like a normal couple. You’d never have to worry about your garlic breath killing them off. You can share dessert, get creative with food after dinner… ahem. The only way food is fun for a vampire is if you’re the meal. Vampires are not cuddly. I don’t want to be comparing my guy to marble when I’m kissing him or while we’re snuggling. Not to mention their cold skin. Nope. I want my guy warm and pleasantly flexible. I know my werewolf will keep me warm. Werewolves are built. Have you ever seen a TV or movie werewolf without the gorgeous abs? I’d love to hear your preference and why. Veronica Blade lives in Southern California with her husband and children. By day she runs the family business, but each night she slips away to spin her tales. She writes stories about young adults to relive her own childhood and to live vicariously through her characters. Except her heroes and heroines lead far more interesting lives -- and they are always way hotter. 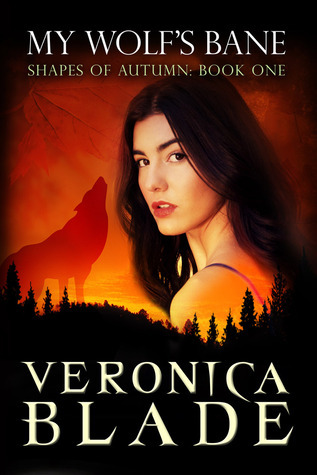 Veronica is the author of several sweet YA novels and novellas, including Something Witchy this Way Comes, A Bites Tale, and From Fame to Shame. You can learn more at Veronica's website, Facebook, or Twitter. Her latest release is My Wolf's Bane, book one in the Shapes of Autumn series. Be sure to check out the awesome trailer below! I'm with you, Veronica...werewolves rock! Love the trailer for your book. Very compelling! Veronica, love the reasons why and I have to agree with you! Love the book! Veronica, I've always preferred werewolves/shape shifters (hello Sam from True Blood) to vamps for the very same reasons you gave. I really enjoyed reading From Fame to Shame, so I can't wait to read more of your work! Great perspective Veronica. I'm very partial to the werewolves on BEING HUMAN and LOST GIRL (fae-wolf), too. Carey, Being Human has werewolves? I've already got Lost Girl in my To Be Watched pile, but I'll have to check out Being Human. Sounds intriguing. Thanks for the tip!